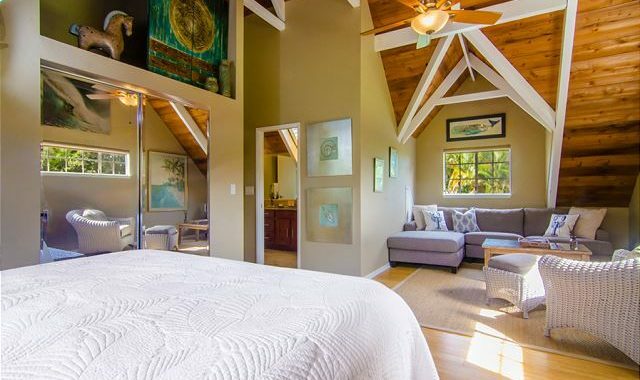 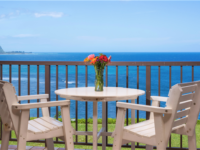 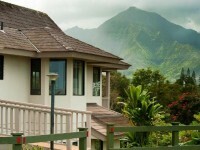 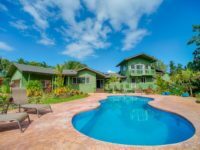 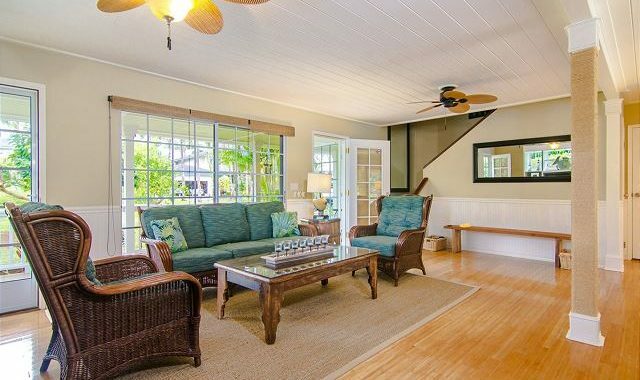 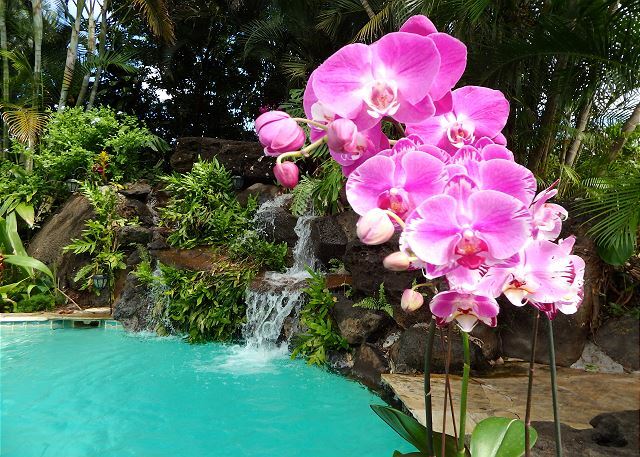 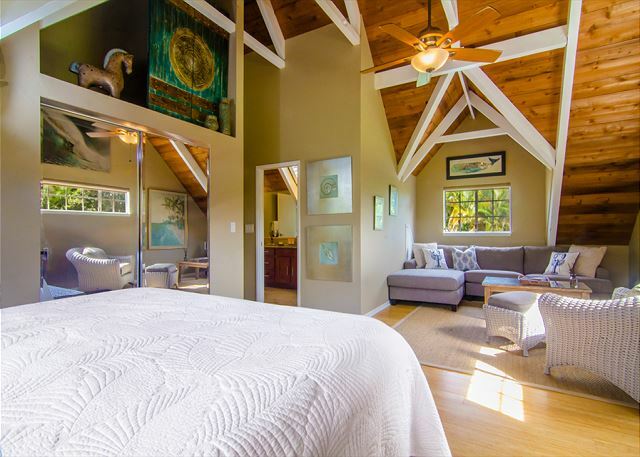 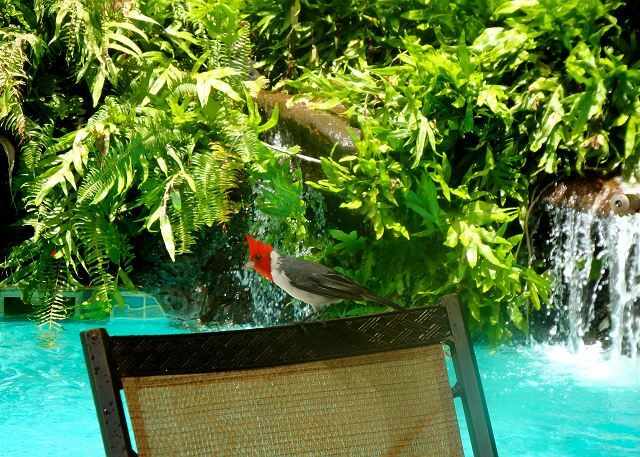 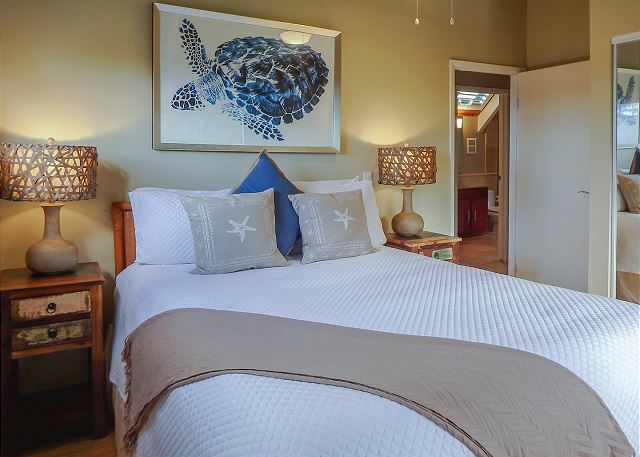 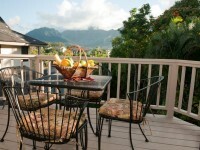 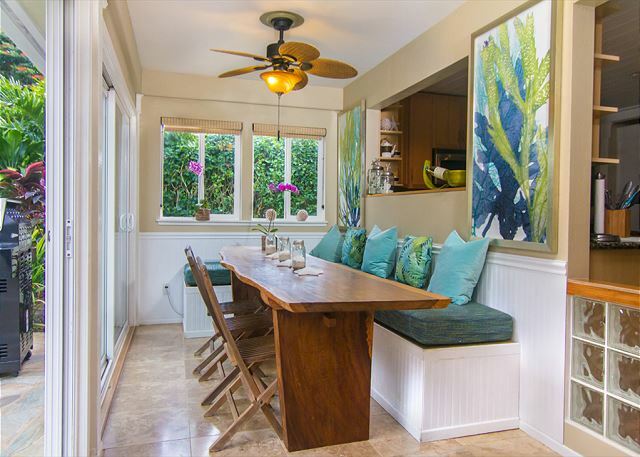 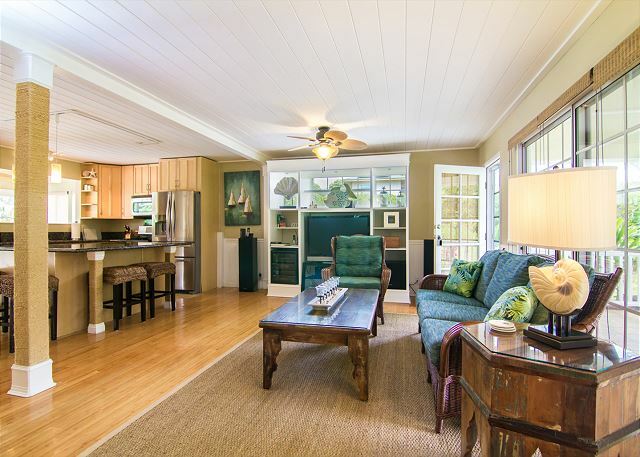 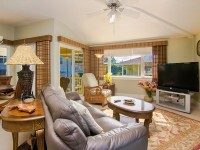 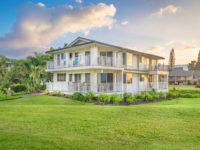 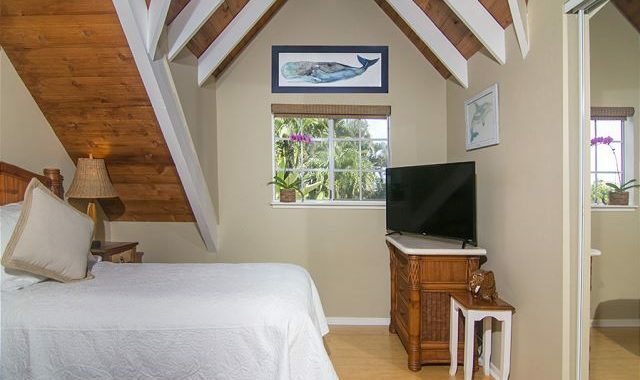 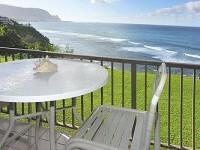 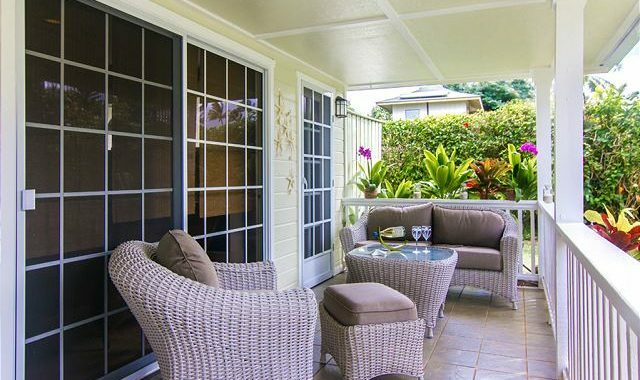 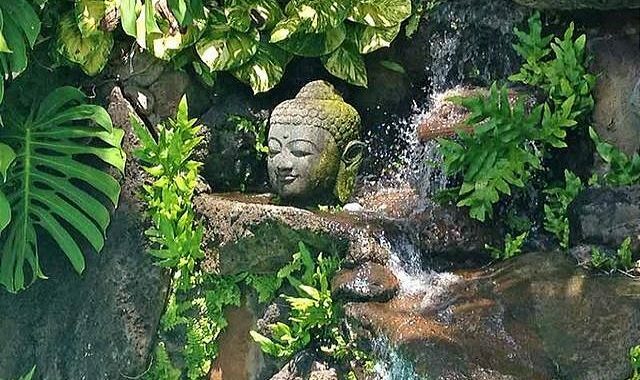 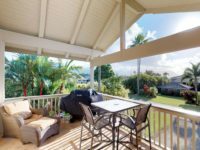 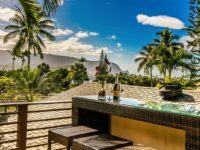 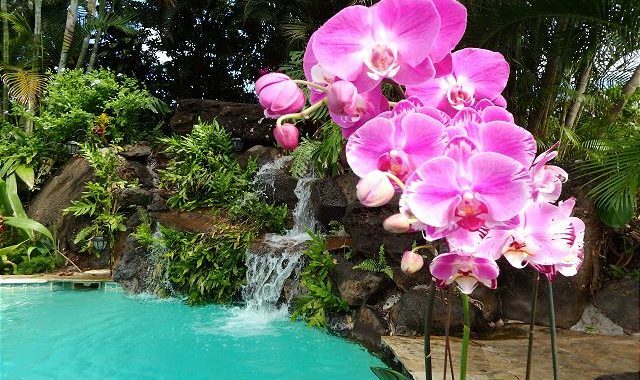 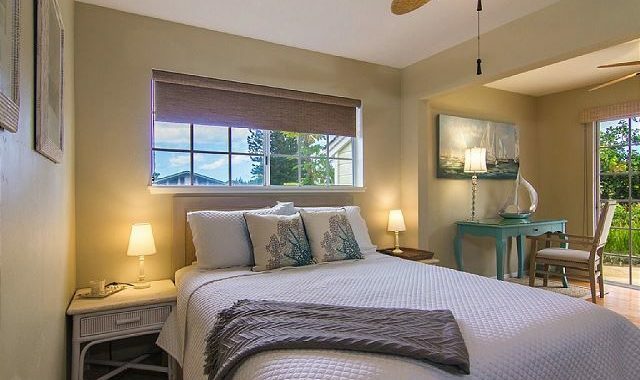 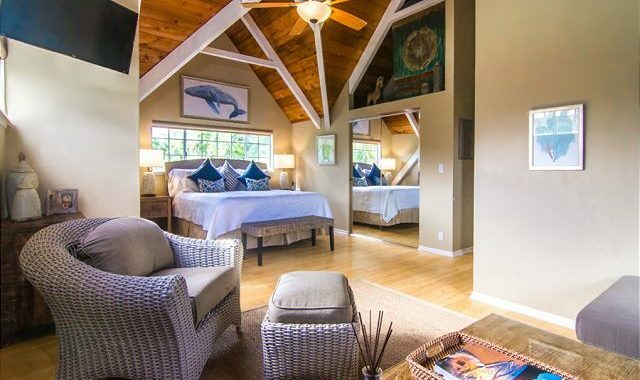 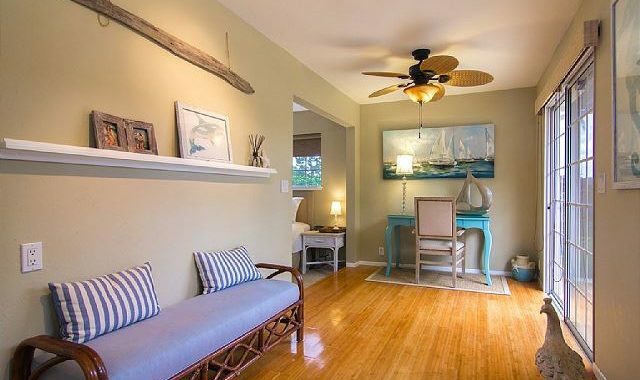 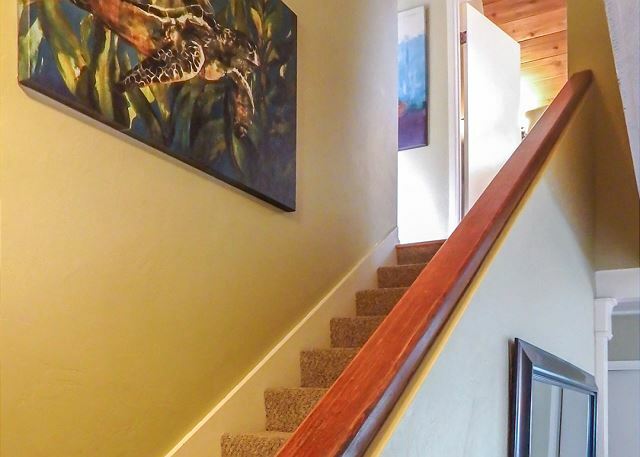 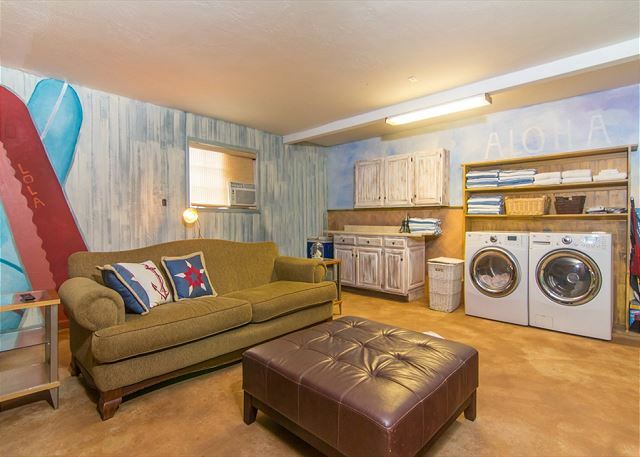 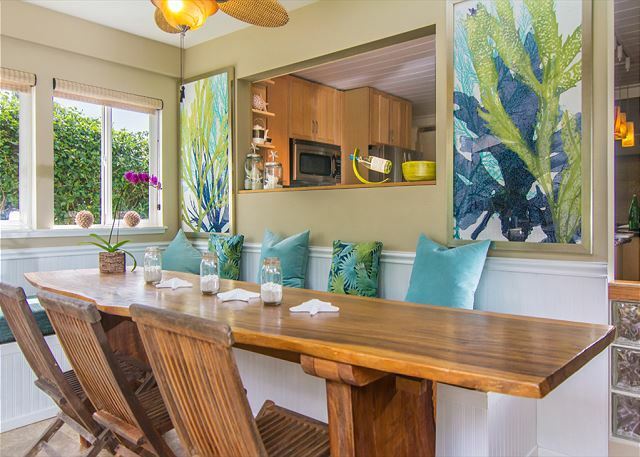 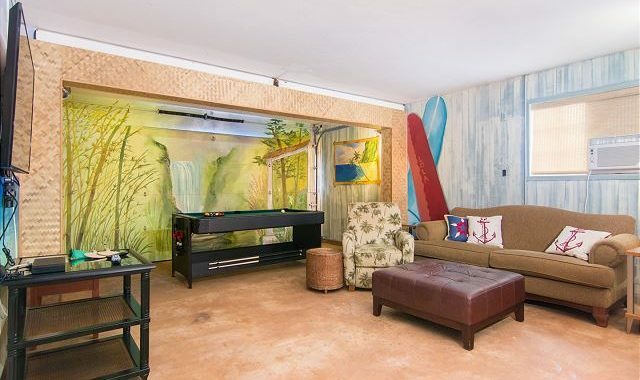 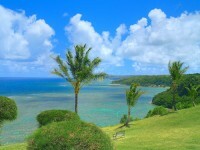 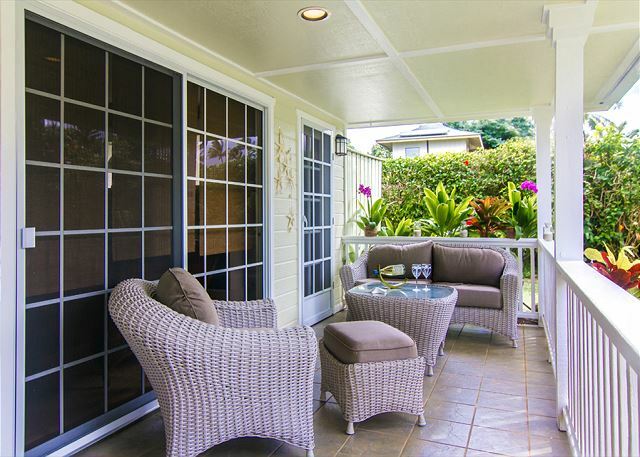 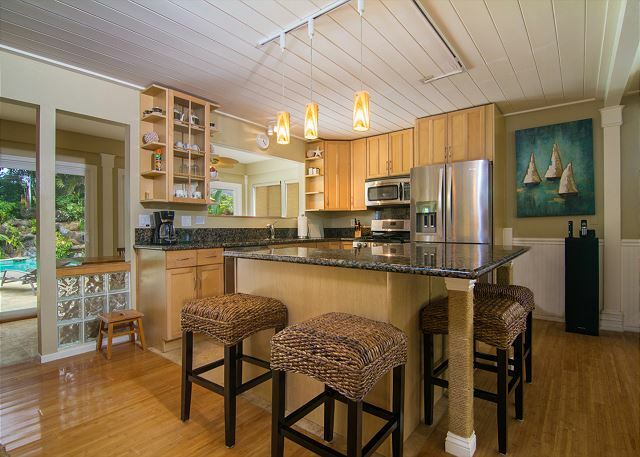 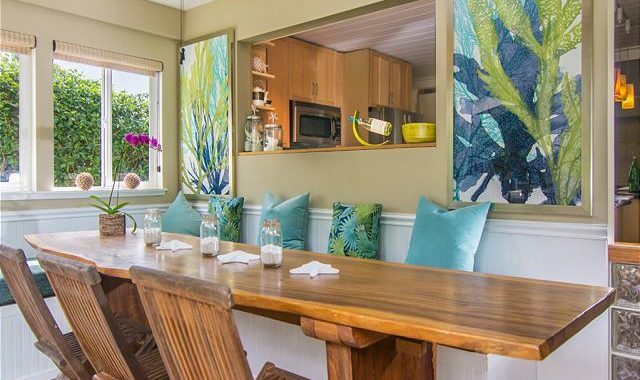 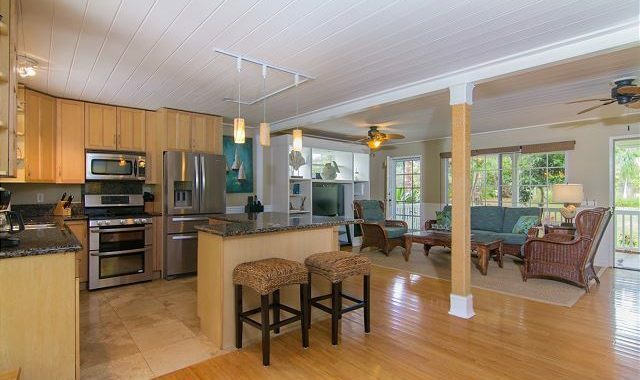 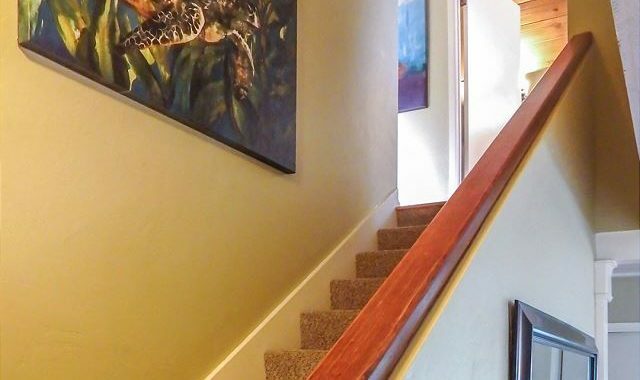 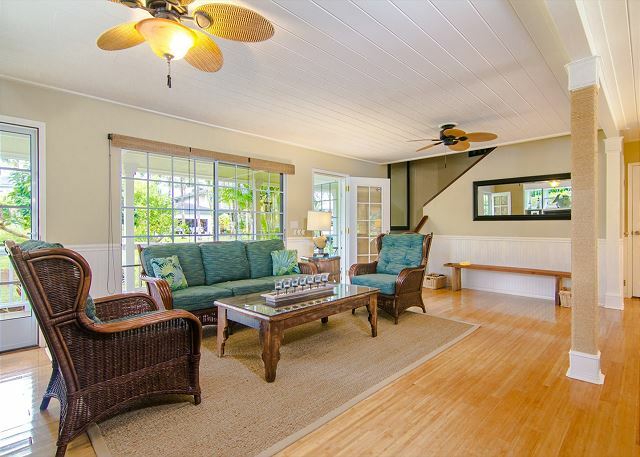 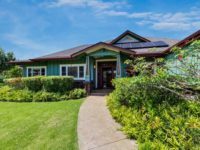 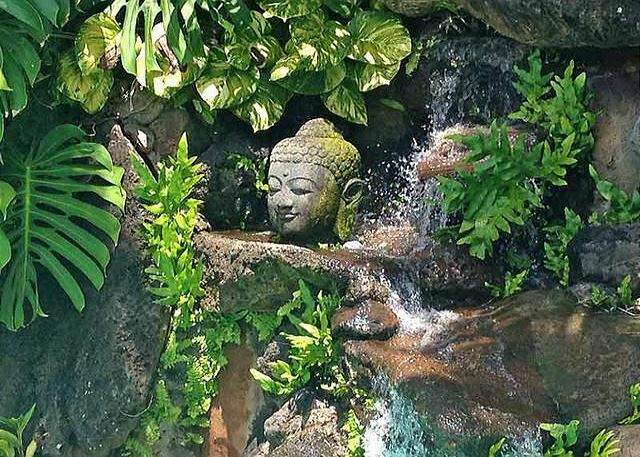 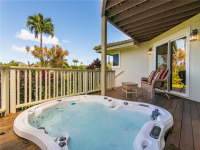 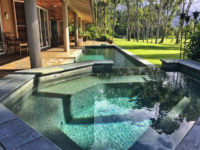 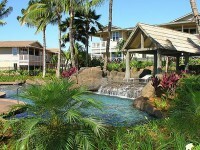 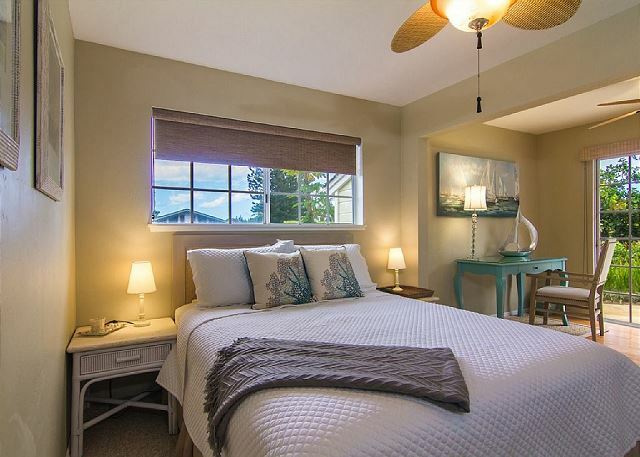 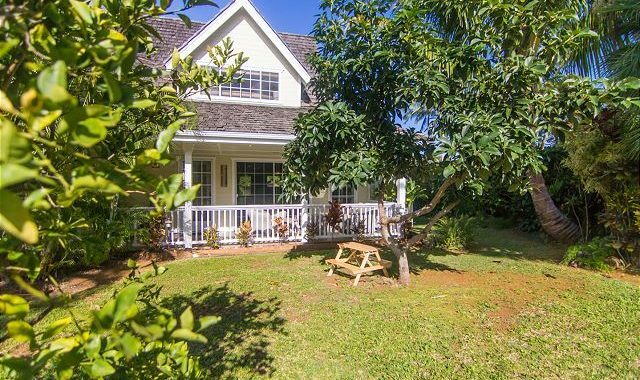 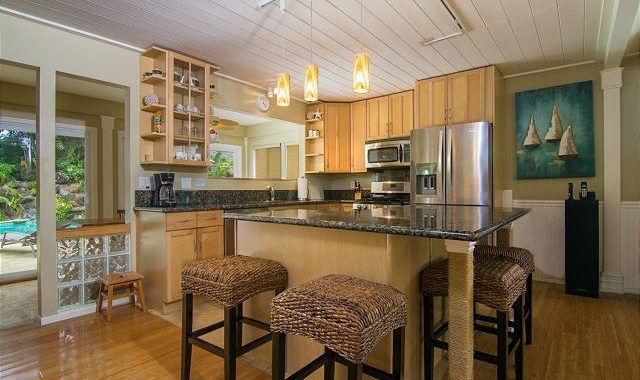 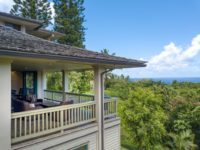 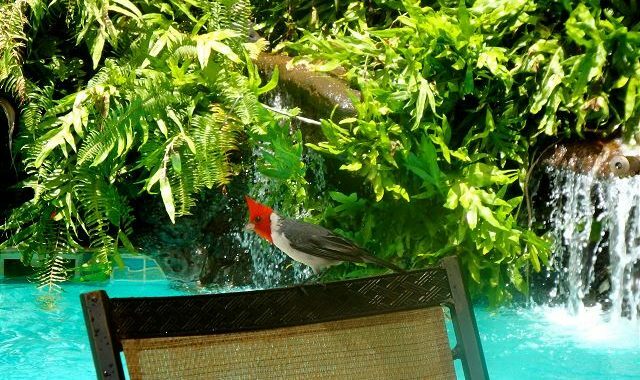 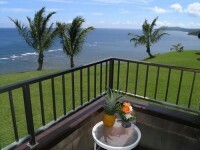 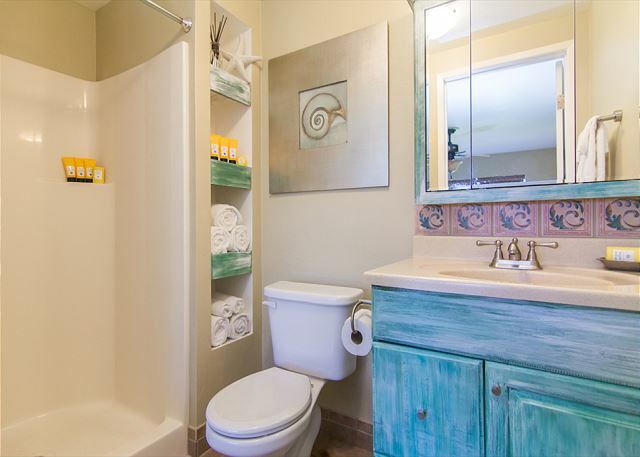 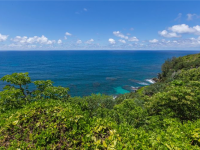 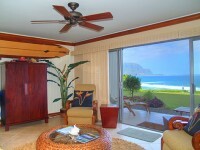 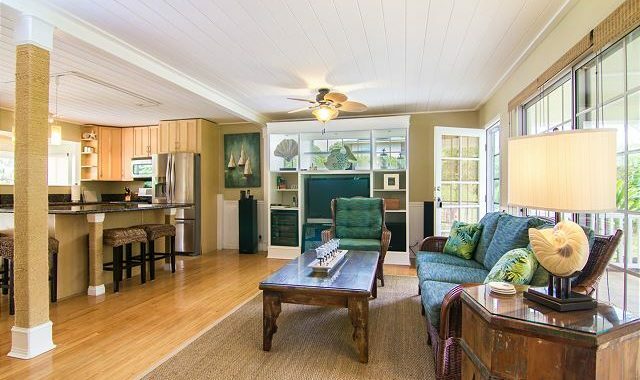 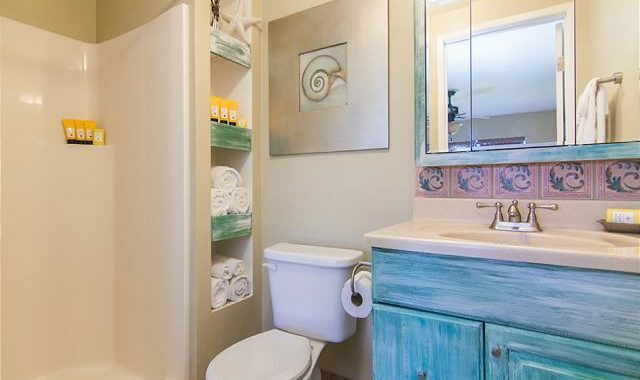 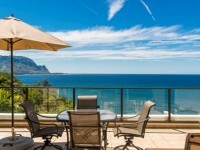 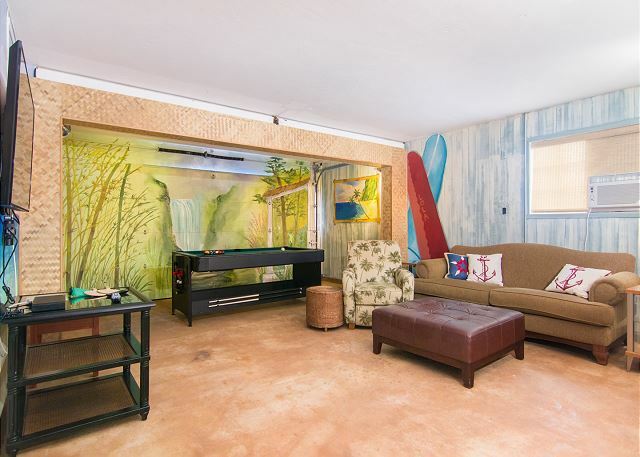 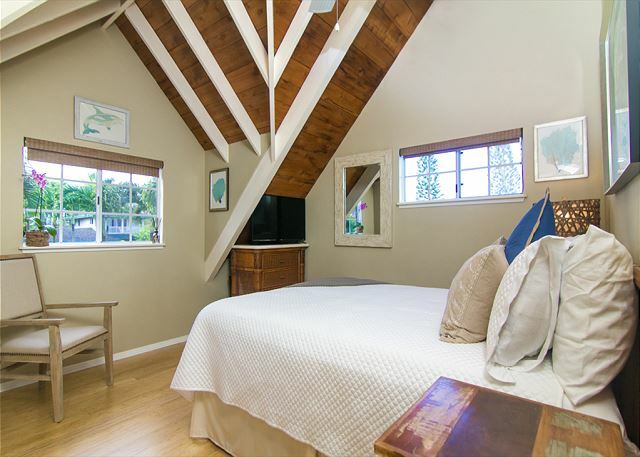 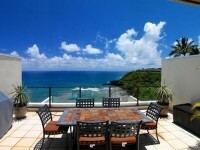 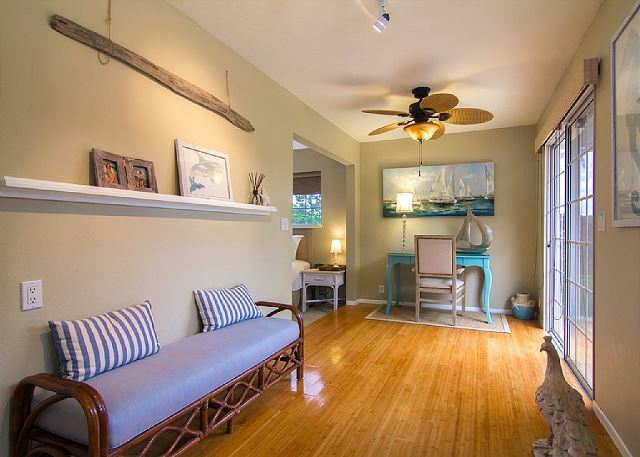 PRINCEVILLE, KAUAI VACATION RENTAL: Paradise Hale invites you to leave the rigors of daily life behind and enter the tranquil serenity. 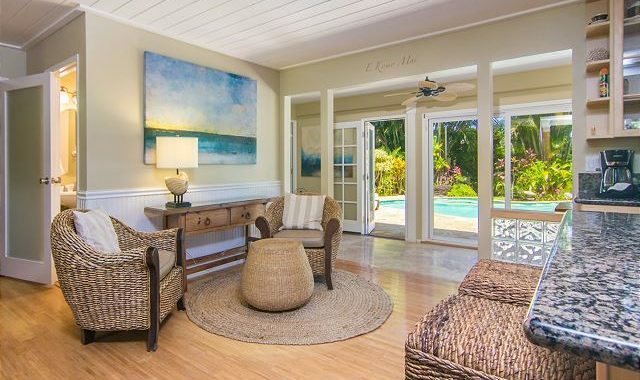 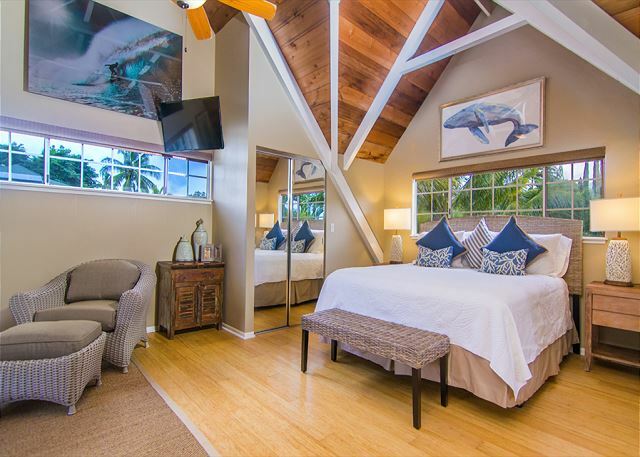 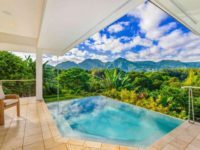 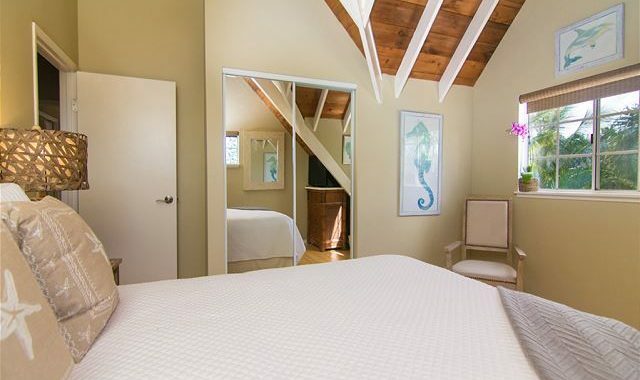 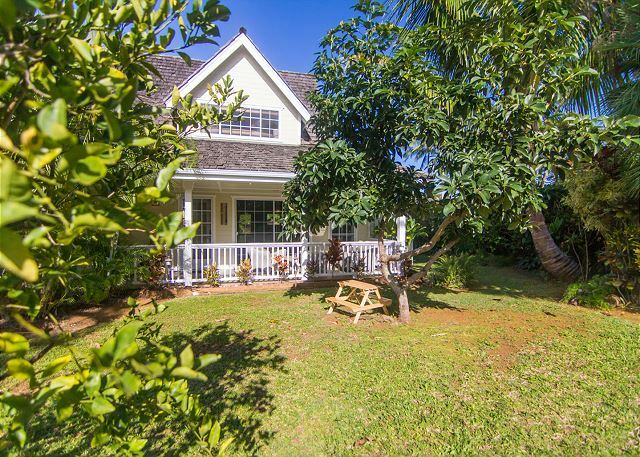 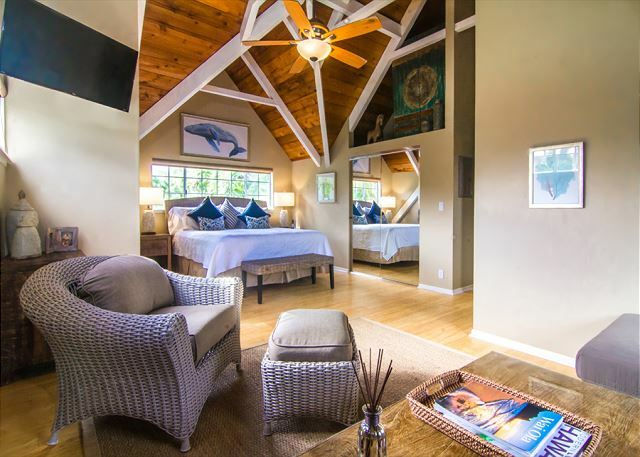 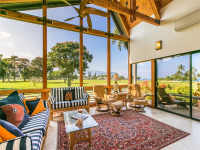 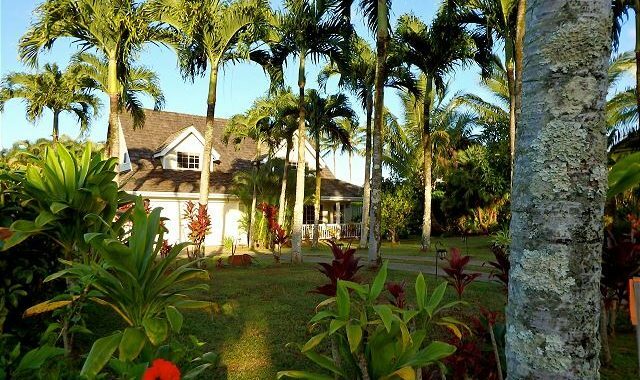 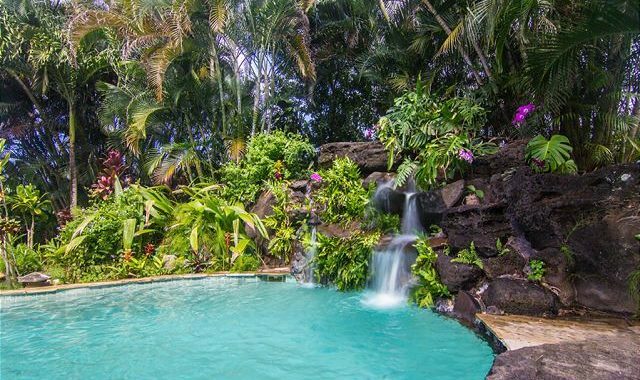 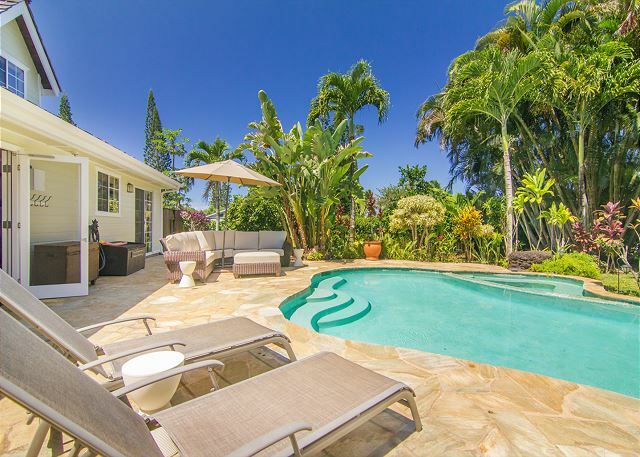 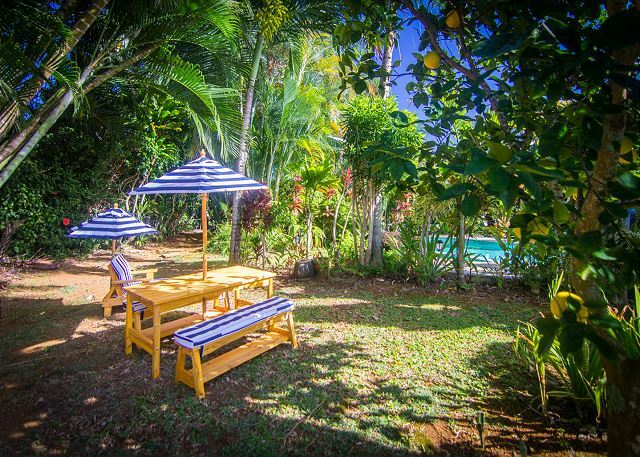 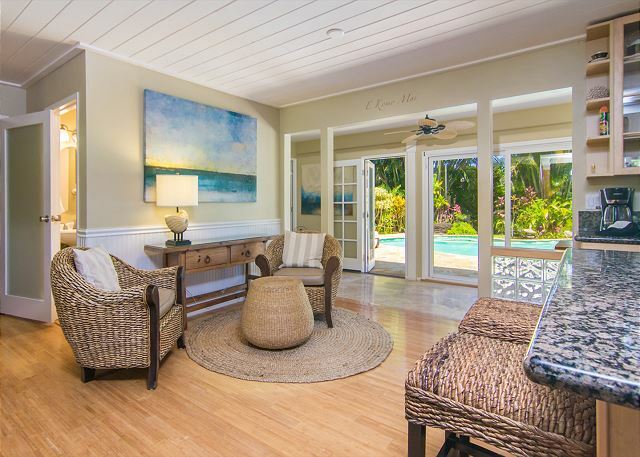 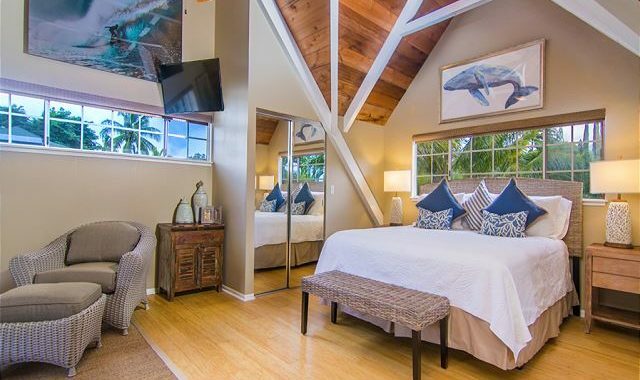 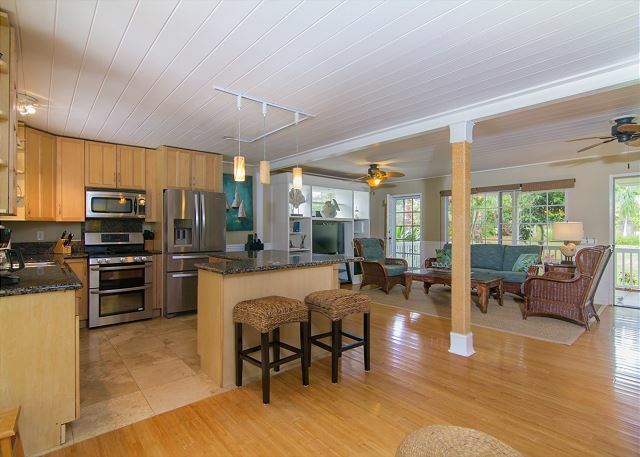 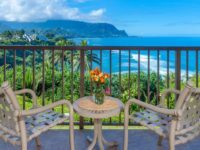 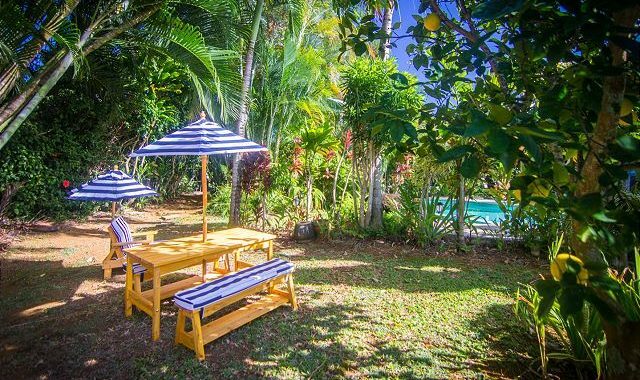 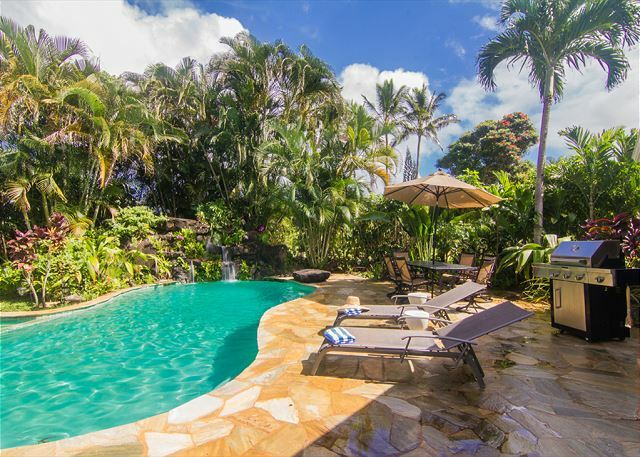 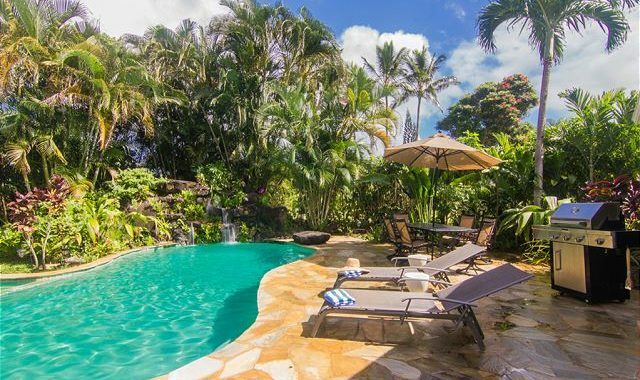 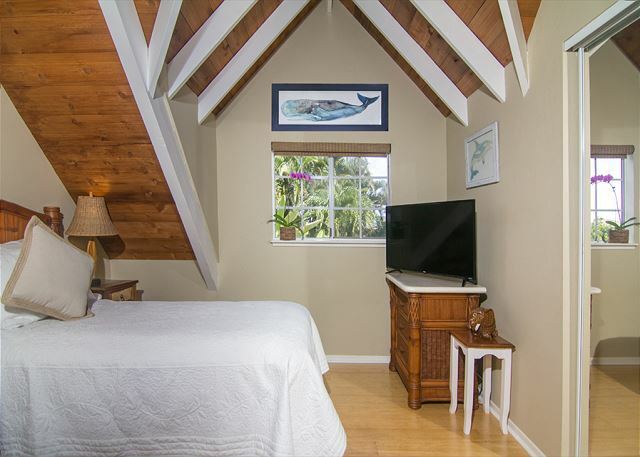 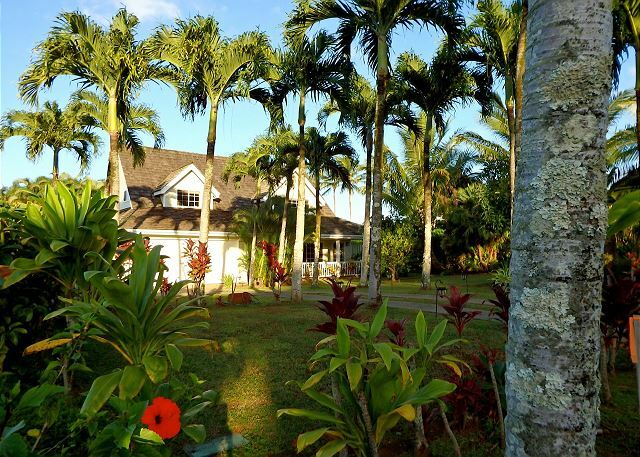 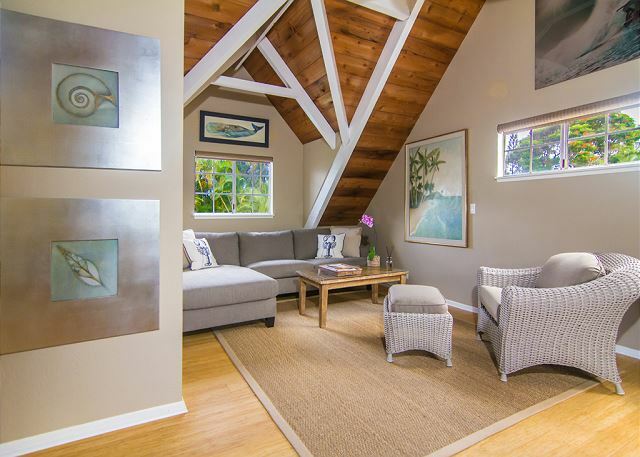 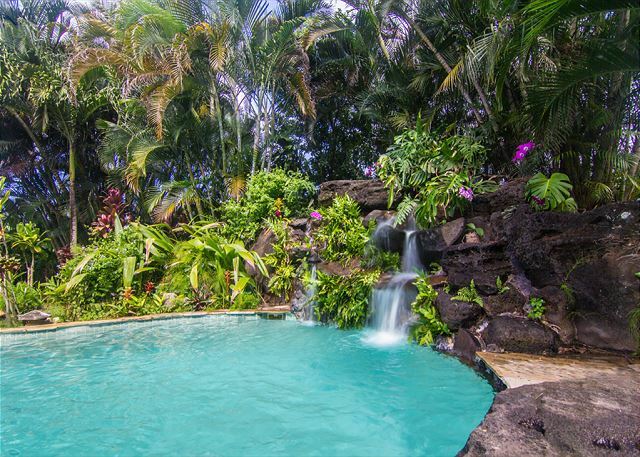 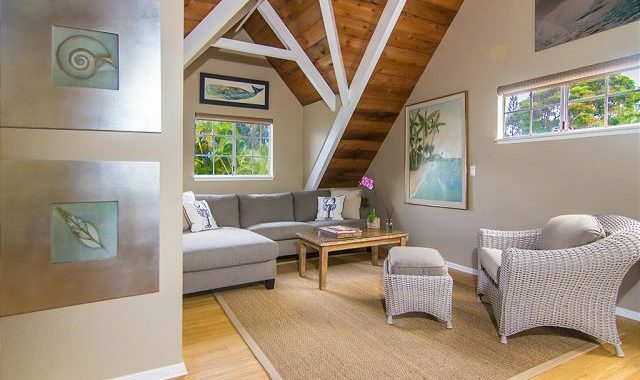 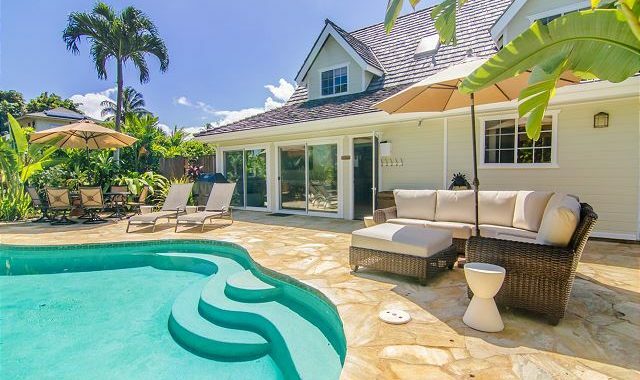 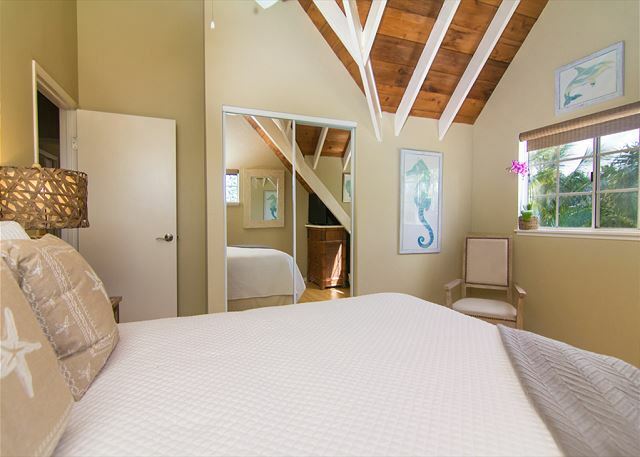 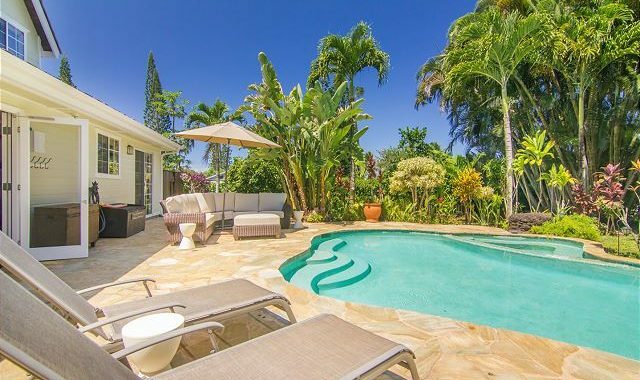 Situated on one-third of an acre in the heart of the pristine Princeville resort, this 4 bedroom /3 full bath tropical Hawaiian oasis offers privacy, comfort and relaxation. 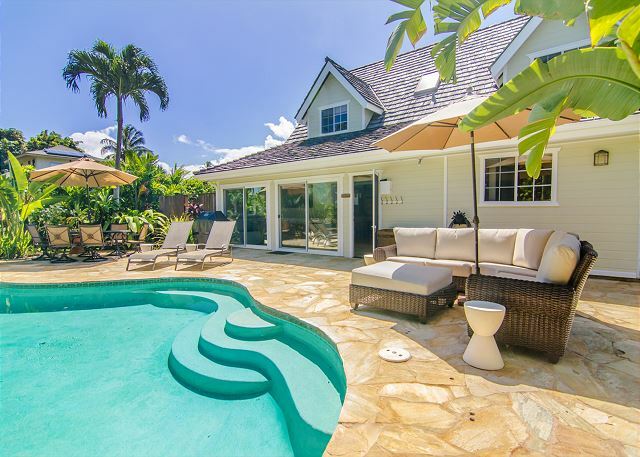 The newly remodeled home features an open floor plan, private pool, fruit trees, a large front porch with new outdoor furniture overlooking the landscaped garden, an air conditioned games room and floral tropical landscaping that will make you feel calm and rejuvenated during your visit. 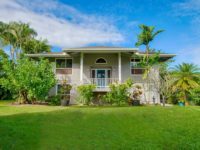 A light and airy home with bamboo floors in the living areas, natural travertine in the fully equipped chef’s kitchen make it perfect for spending time with family and entertaining alike. 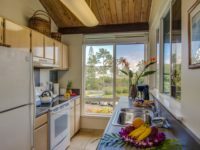 The kitchen includes granite countertops, stainless steel appliances and a brand new gas double oven range with ProBake convection, new double door refrigerator and a new dishwasher . 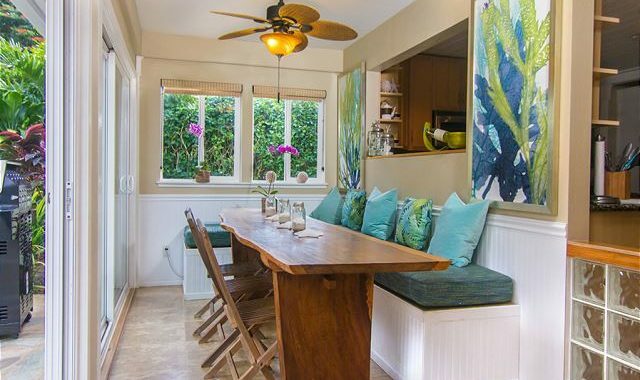 Enjoy your meals on the gorgeous dining room set that seats 8 surrounded by windows overlooking the pool area or on the designer wicker bar stools surrounding the kitchen counter for a more casual meal or drink. 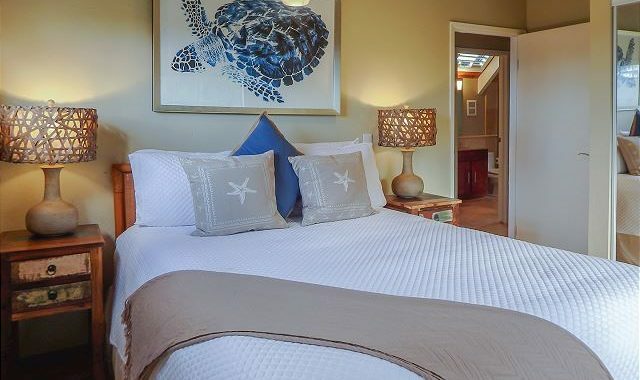 The first level boasts one bedroom with a brand new queen bed, private en suite bathroom, flat screen TV & DVD Player with a connecting light and open office area that overlooks the pool with direct outside access. 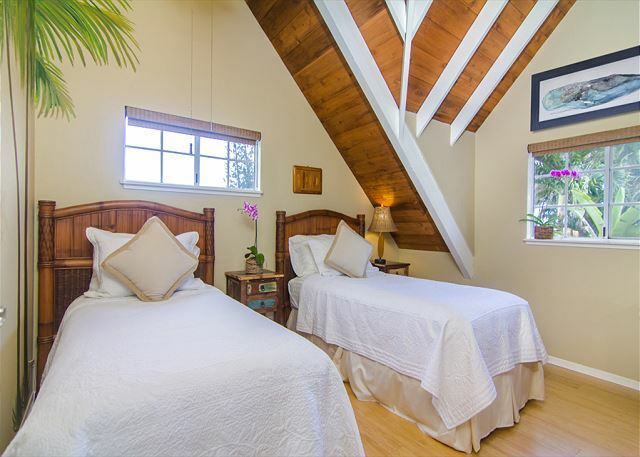 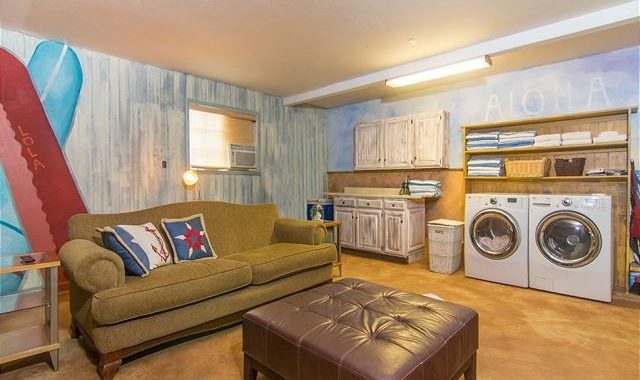 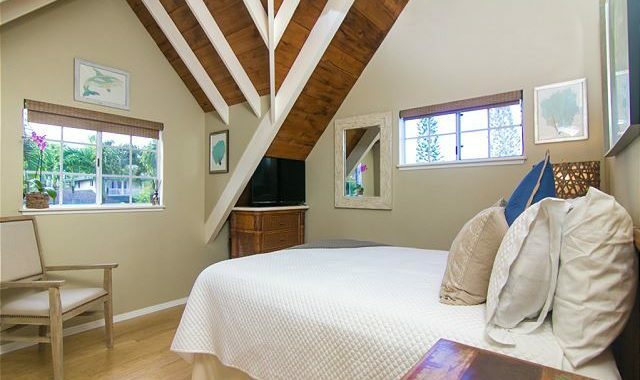 The second level offers three additional bedrooms; the first room offers a brand new California king bed, reading and relaxing area, wall mounted flat screen TV and DVD Player. 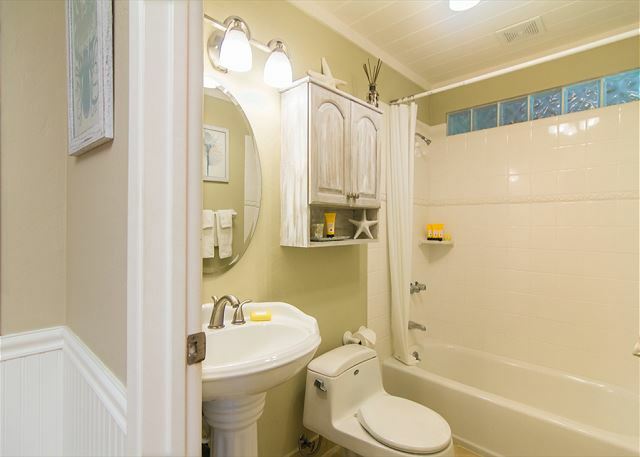 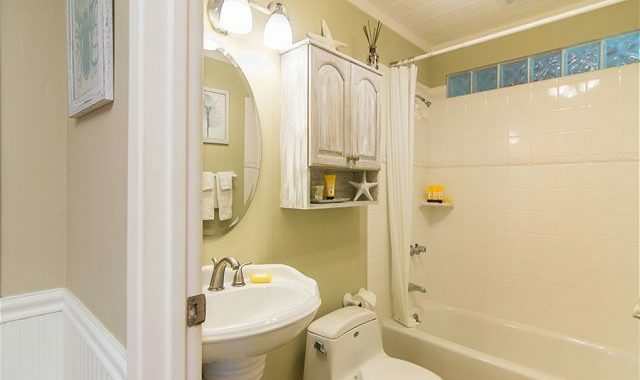 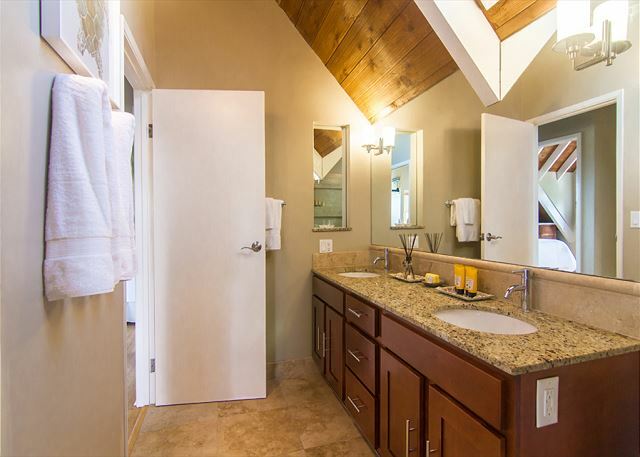 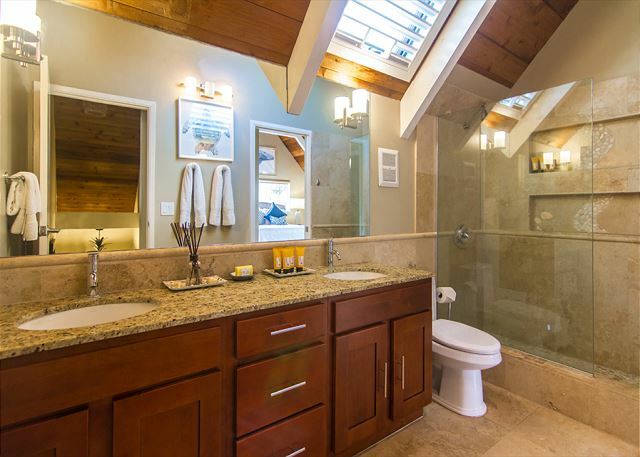 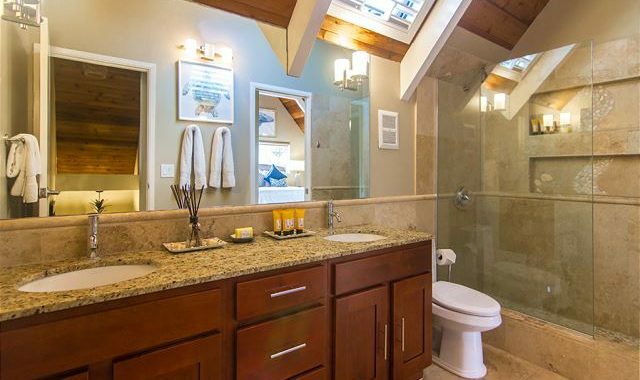 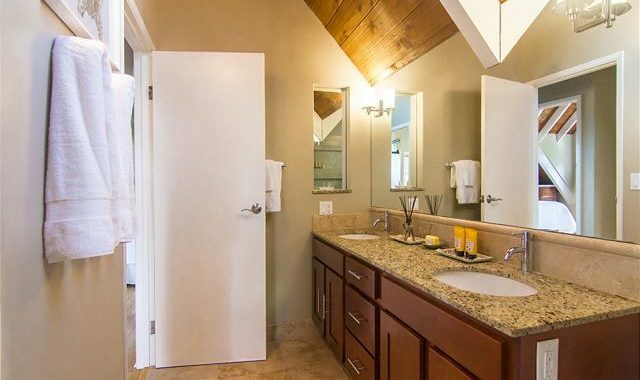 Separate entrance to a shared upstairs bathroom with double sinks, and travertine glass shower with pebble stone floor. 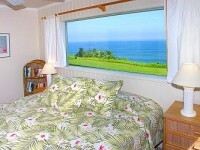 The second bedroom contains a new queen bed, reading area, and flat screen TV. 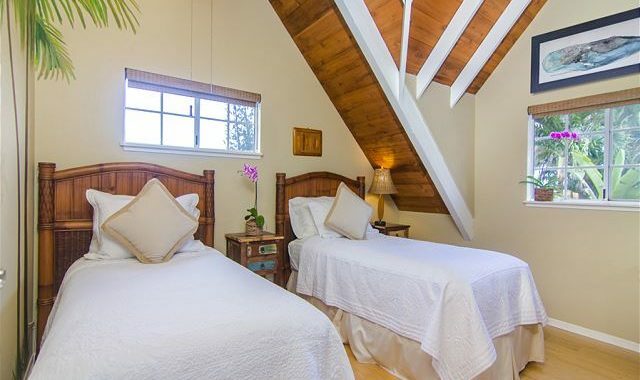 The third bedroom offers two (2) new twin beds and flat screen TV with decorative wall paintings, ideal for kids.